For a casually elegant look, reach for a navy blazer and navy jeans — these two pieces the workplace beautifully together. 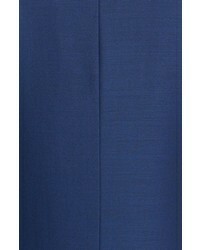 Reach for a David Donahue navy blazer and charcoal dress pants for incredibly stylish attire. For a casually elegant getup, try pairing a David Donahue navy blazer with olive shorts — these two items play beautifully together. Add a more relaxed vibe to your ensemble with light blue plimsolls. 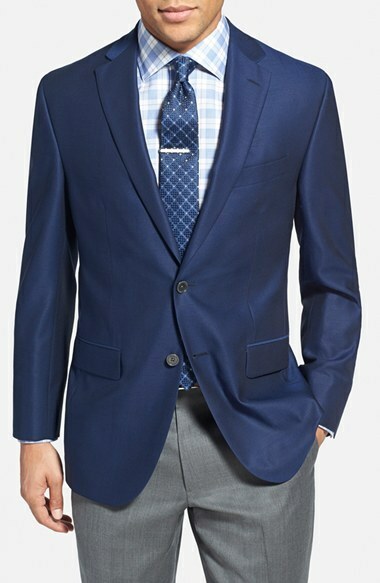 For a smart casual ensemble, go for a David Donahue Connor Classic Fit Wool Blazer from Nordstrom and blue jeans — these pieces go really good together. Dark brown leather derby shoes will instantly elevate even the laziest of looks. 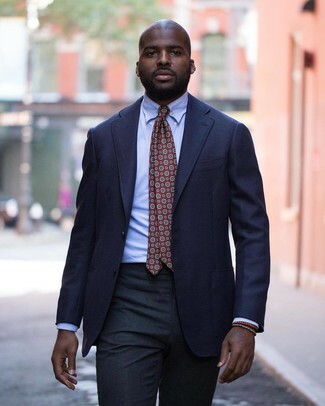 This combination of a David Donahue navy blazer and khaki chinos is very easy to put together in no time, helping you look amazing and ready for anything without spending a ton of time rummaging through your closet. For something more on the daring side to complete this look, opt for a pair of yellow canvas boat shoes. Contrary to what you might believe, being a dapper dude doesn't require that much effort. 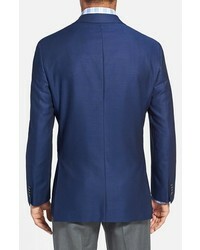 Just team a David Donahue navy blazer with khaki chinos and you'll look incredibly stylish. When it comes to footwear, this look is finished off wonderfully with green camouflage desert boots. 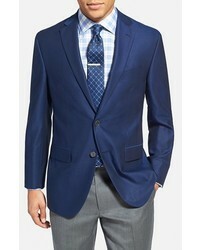 Opt for a David Donahue Connor Classic Fit Wool Blazer from Nordstrom and black dress pants for a sharp, fashionable look. Rocking a pair of tobacco leather oxford shoes is an easy way to add extra flair to your look. Contrary to what you might believe, being a dapper dude doesn't take that much time. 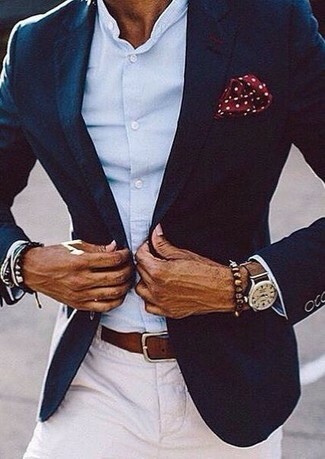 Just consider teaming a navy blazer with white chinos and you'll look incredibly stylish. For a nothing less than incredibly stylish look, choose a David Donahue Connor Classic Fit Wool Blazer from Nordstrom and navy dress pants. 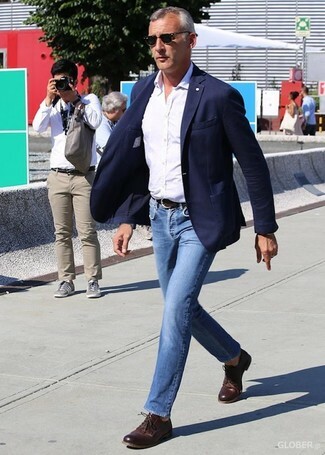 For something more on the daring side to finish off this outfit, rock a pair of tan leather brogues.